The Czech company Tatra is acknowledged as one of the pioneers of aerodynamic design in automobiles. Already in 1934, the company built the Type 77 as a luxury car that had a body based on the research carried out by the famous aerodynamic pioneer Paul Jaray. The improved body of the successor Tatra 87 was also based on wind-tunnel trials and the car was presented in Prague in 1937. A drag coefficient of 0.36 gave the car a striking profile even by comparison with modern day cars. However, the spectacular contours of the body in semi-unitised design were not the only eye-catcher. The engineering of the Tatra 87 is very unusual. Designer Hans Ledwinka equipped this luxury car with a 2.968 cc. six cylinder V engine, which was mounted at the rear of the car and powered the rear wheels. Despite its futuristic appearance for the 1930s, the Tatra 87 was a very confortable and fast touring car. The three litre engine generating 75 hp took the car up to speeds of more than 150 kph. By 1950, only just over 3.000 cars of the Type Tatra 87 had been produced. After this Tatra was first delivered to its first owner in Slovakia in 1939, it passed through the hands of many owners across Europe after the war. 2004 saw the car in very poor condition when it was purchased by the current owner, Karol Pavlu from Slovekia, and restored to perfect condition. 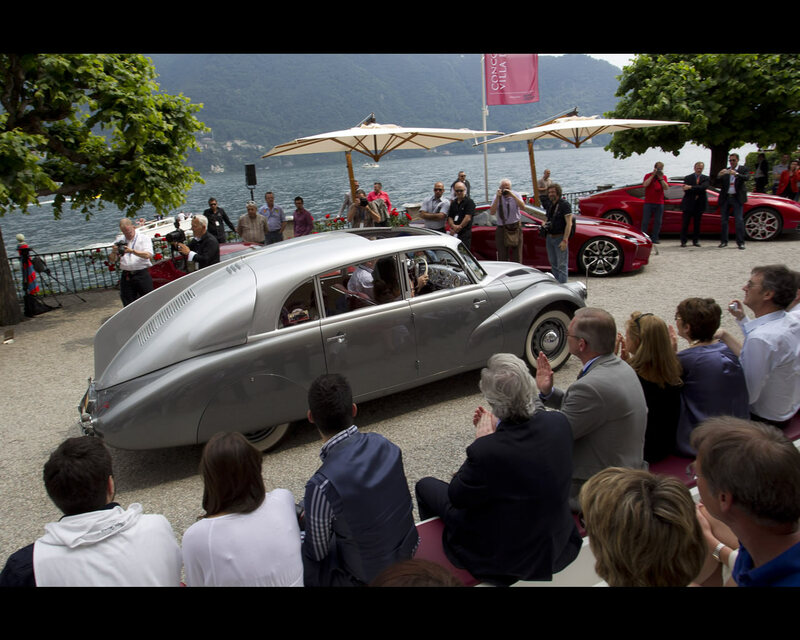 At the 2012 Concorso d’Eleganza in Villa d’Este this Tatra 87, presented by Karol Pavlu, collected Mention of Honor in the Class C – The Art of Streamlining.